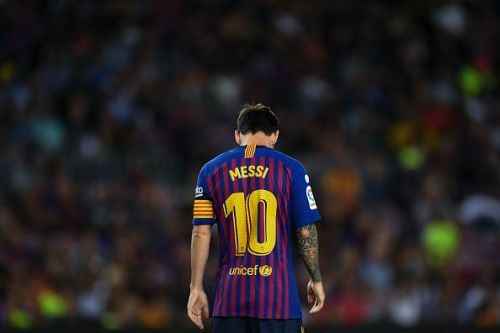 The competition for the best player accolade never seems to cease, as more talents emerge every year to showcase their skills across the world. From every corner of the continent, the fans love witnessing amazing gameplay and their various abilities. As the 2018/19 campaign has begun, we have already seen some thrilling games and this season certainly promises plenty of drama and passion from previous years gone by. There are players who have stood out for their respective sides, with this article taking a look at Europe's best forwards on current form. Disclaimer: The views expressed in this article are those of the author and they do not necessarily represent the views of Sportskeeda. 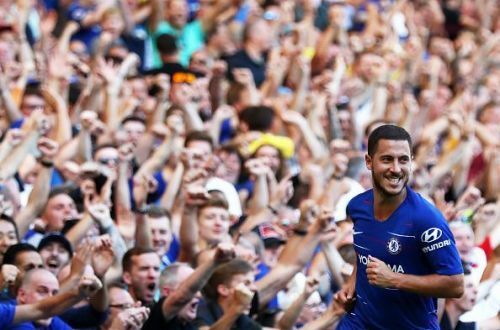 Having enjoyed an impressive World Cup campaign with his native Belgium side this summer, Chelsea winger Eden Hazard is in the best form of his life. The 27-year-old has scored two and assisted another two goals in just four league games, with the Blues aiming high under new management with Maurizio Sarri at the helm this term. Hazard's sheer pace and insane dribbling skills help him skip past defenders with ease, while he is arguably the Premier League's most clinical winger at present. Although he is yet to sign a new contract with the Blues, a move away from Stamford Bridge could fail to materialise - as he has verbally agreed to sign a new deal, should they qualify for Champions League football and show drastic improvement from last season's failures under Antonio Conte. After a lacklustre showing across England's top-flight and among Europe's elite last term, Chelsea were able to manage an FA Cup triumph - little consolation for Conte - who was sacked in July. As a result, the club's star players were heavily linked with transfers away - not least Hazard, who continues to attract interest from Champions League holders Real Madrid. First-choice goalkeeper Thibaut Courtois joined Los Blancos, while Eden and Willian have remained. Hazard does not have a lot of years left at his peak and you can understand his eagerness to finish his career with silverware in another of Europe's top leagues, such as Spain. His quality is undeniable and boasts world-class skills, so it's no surprise that supporters and critics alike expect plenty from him. 5 strikers who were forced to play as wingers?